You've shopped the Riviera exhaustively for that comfortable, affordable home with the perfect view? Feast your eyes on this gem that sparkles with the Queen's Necklace by night, and with the ocean and shoreline by day. 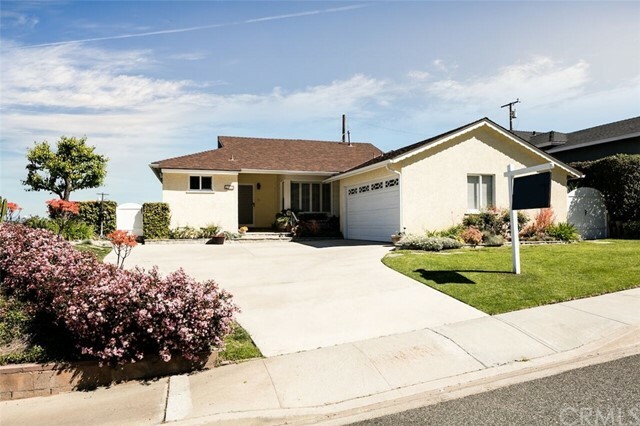 Nearly a half-century has passed since this masterpiece of nature graced the market, and the previous owners did nothing but improve their cherished abode in the intervening decades. Nestled high at the quiet turn where Paseo de los Reyes transitions into Calle de Arboles, you can choose to calmly observe the bustle on the sand or join it with a healthy walk down to Torrance Beach. © 2019. The multiple listing data appearing on this website, or contained in reports produced therefrom, is owned and copyrighted by Multi-Regional Multiple Listing Service, Inc. ("MRMLS") and is protected by all applicable copyright laws. Information provided is for viewer's personal, non-commercial use and may not be used for any purpose other than to identify prospective properties the viewer may be interested in purchasing. All listing data, including but not limited to square footage and lot size is believed to be accurate, but the listing Agent, listing Broker and MRMLS and its affiliates do not warrant or guarantee such accuracy. The viewer should independently verify the listed data prior to making any decisions based on such information by personal inspection and/or contacting a real estate professional. Listing courtesy of Steve Schloeder from Bonanza Realty . Last updated Thursday, April 18th, 2019.